Travel back in time to the old West and play the game of cowboys and outlaws. The rules of 5 card draw are simple but the rest is up to you. Can you make the right moves at the right time? Five card draw is one of the oldest forms of poker, which emerged in New York salons with the outbreak of the Civil War. Today, it remains popular with all on the internet, thanks to our version of 5 card draw online, recommended especially for novice poker players. Some admit that the short duration of an entire game now means that they play five card draw extremely rarely in casinos. Some other poker games have probably contributed to a reduction in the number of players and fans of the game. However, nothing is lost! The younger brother of these cult card games has moved to another more fertile and progressive ground of online games. Fans from all over the world constantly return to play the game. 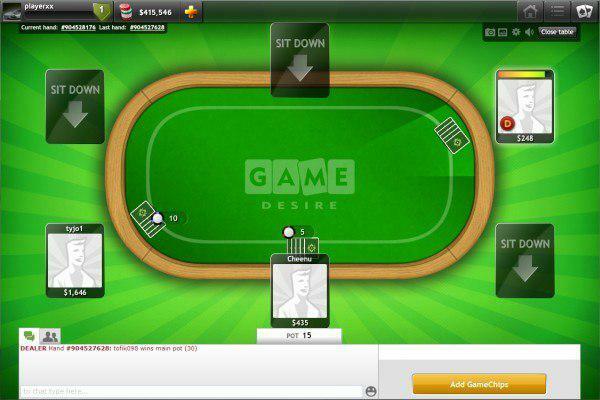 Short games are in this case the advantage of five card draw online, because many people are looking for uncomplicated fun, and have no time to play an extended an nerve-wracking game of ordinary poker. Five card draw is simpler than today's popular poker variations and known to many people in the amateur game, from playing at the table in their homes with family or friends. Another advantage of five card draw is the emphasis on strategy. Here you can forget about the myth of lucky cards, and count only on your skills and mental acuity. It is possible to win chips from the table with a weak hand, or to lose holding a strong one. Therefore it is worth familiarizing yourself with the basics of poker variants, for against more experienced opponents there would be no chance of winning. However, any beginner is recommended to play five card draw as often as possible. After all, as the well-known saying goes, "practice makes perfect", and tricks gleaned from better players can help you to win. 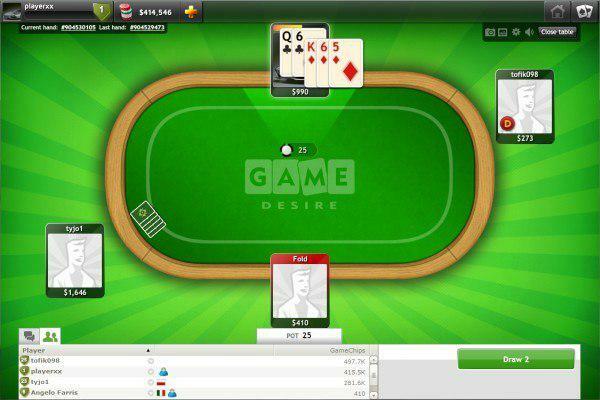 Contrary to appearances the rules themselves are not that difficult, and the action takes place very quickly, so even the most demanding five card draw online player will not be bored. In addition, online practice is the best opportunity to learn to play poker safely, without the risk or fear of losing your money. The key to winning is to have five cards that make up the best combination among all the players, known as the best hand. The trick to playing five card draw is to have a good strategy alongside the ability to bluff perfectly. It is not only the person with the best cards who can win – but also the player who can confuse their opponent effectively. Before the cards are dealt the player on the immediate left of the dealer is required to pay the the small blind, and the next player the big blind. This determines the stakes on a given table. For example, if the small blind is $1, the big blind will be $2. 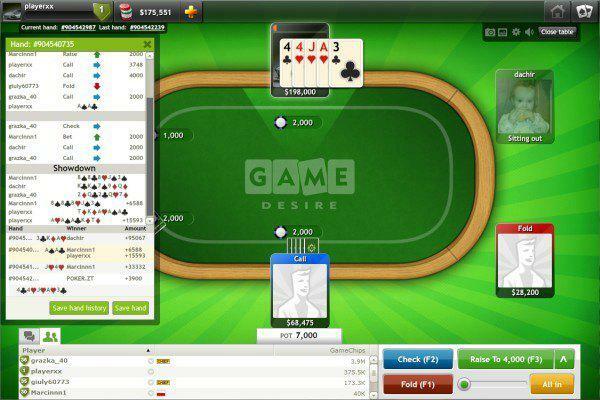 Once each player in the game has been dealt five cards, the first round of betting starts. Each player from the big blind onwards must bet a higher amount to stay in the hand, call, or fold. The player who posted the big blind makes the last move. Later, everyone has the opportunity to exchange up to four cards. After betting, the players who remain at the table reveal their hands. The winning hand consists of the strongest cards. In the hierarchy of poker hands, the royal flush is the highest. This is made up of five cards: ten, jack, queen, king and ace of the same suit, for example diamonds. Interested in the game? On GameDesire, don’t be a fish – a well-known term in the poker world for a beginner, just starting their adventure in card games. Experience in five card draw can bring you a lot of respect from other players, as well as sizeable winnings. 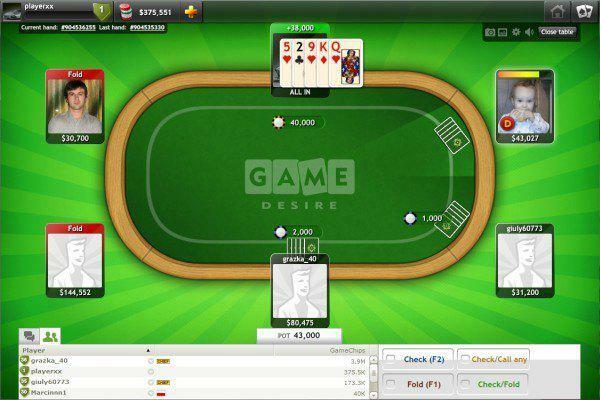 How to play Poker 5 Card Draw? At start You must choose number of chips to play. You can purchase desired amount of chips at any time during the game. If You want bet/raise You can accept the lowest bid or change it by slider or choose the requested bid from a list.